Audiences are presented with past analyses from the Centre for Research on Globalization (CRG), by Mahdi Darius Nazemroaya and Michel Chossudovsky, that connects the dots between the two crises in Iraq and Syria and the long war of the US that is ultimately aimed at controlling Eurasia. The division of Iraq and the Middle East is part of a longstanding push into Eurasia by the US, Israel, and their allies that has consistently involved a set of pretexts and lies. Sectarian hatred between Shia Muslims and Sunni Muslims and between Kurds and Arabs is now falsely being presented as the basis for the conflicts in Iraq and Syria. The US military cannot go into any country that it desires for regime change. This is why Washington has applied other techniques for regime change. In 2006, with the failure of the US to break the Resistance Bloc or Axis of Resistance in the Middle East, the US began its “redirection” policy and opted to use insurgencies, sectarianism, colour revolutions, and intensified covert operations. One of the people that set the stage for the division of Iraq is Joseph Biden, the current vice-president of the United States. When Biden was a US senator in the US Congress, he presented the Biden Plan to divide Iraq into three sectarian entities in 2008. In part, the Biden Plan created one of the blueprints for the political face of the current crisis in Iraq. The US also wants the federal government in Iraq to be replaced, because it refused to help the US and its allies in the war against Syria, its alliance with Iran, Iraq’s growing trade and purchases of military hardware from the Russian Federation, and Iraqi oil sales to China. Because of Washington’s desires for regime change in Baghdad and its plans to divide Iraq, the US government has been delaying aid to the Iraqi government. Russia and Belarus, on the other hand, have stepped in to militarily help Baghdad, alongside Iran and Syria. While the US is covertly supporting the division of Iraq, Israel is overtly been supporting this as outlined by the Yinon Plan. 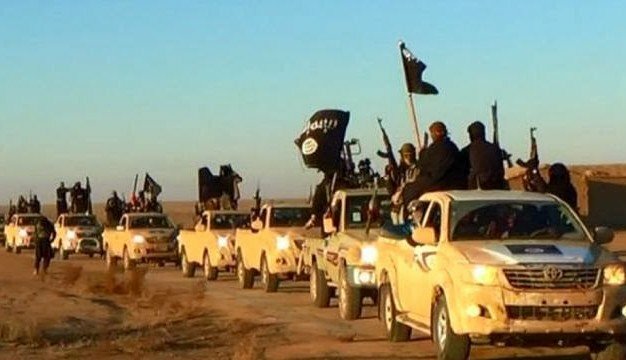 After the ISIL’s 2014 offensive inside Iraq began, Iraqi officials reported that the Israelis were present in Iraqi Kurdistan and also involved in assisting the ISIL fighters inside Iraq’s borders. Tel Aviv has even openly told Washington to let the different groups in Iraq kill one another, just like Iran and Iraq were doing during the Iraq-Iran War. While Israel refuses to allow or recognize Palestinian independence, Israeli officials have called for the international community to recognize the dismemberment of Iraq by recognizing Iraqi Kurdistan as a separate republic. This is because Israel plans on using the Kurdish people as pawns and Iraqi Kurdistan as a regional outpost. The Kurdistan Regional Government has used the ISIL’s 2014 offensive as an opportunity to takeover the multi-ethnic and oil-rich Iraqi city of Kirkuk and to announce that it plans to declare independence from Iraq. In part, petro-politics and control over energy is tied to the Kurdistan Regional Government’s plans of secession and its armed takeover of Kirkuk, which it has claimed as its historic capital. The Turkish government has already been making illegal energy deals with the leaders of the Kurdistan Regional Government for Iraqi oil. Reports are also surfacing that Israel will buy Iraqi oil from the Kurdistan Regional Government via Turkey. Banyias-Kirkuk Pipeline running from Iraq to Syria. The Iraqi and Syrian people must stand united in the face of the project to divide their ancient societies and countries.